I saw this on the Facebooks, and I thought i’d like to share with everyone else. 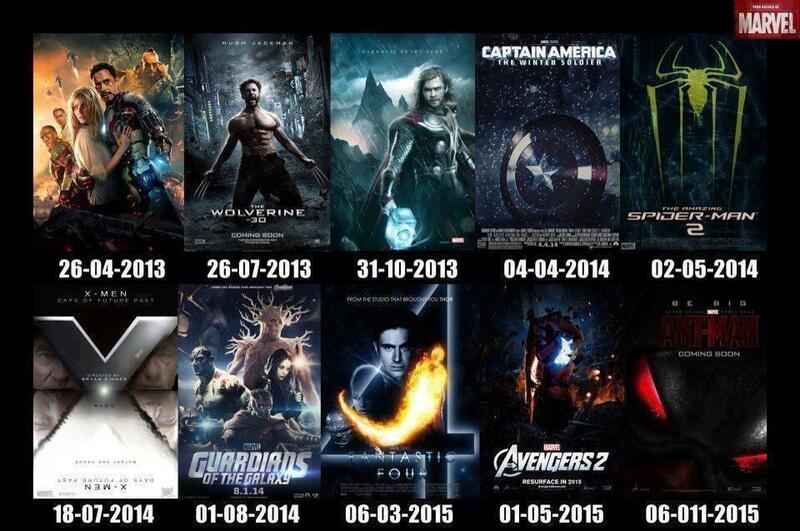 Upcoming Marvel movies! I so geeked out when I saw this. I was surprised with Fantastic Four being there. I hope they can resurrect it, so we can all completely forget the Fox made ones. Correction, this will be a reboot, and it will still be made by Fox.